Jason Chimera can’t beat Ryan Miller and the Buffalo Sabres. 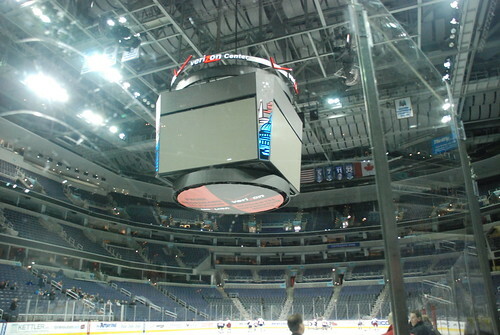 In a game rife with playoff implications for both teams, the Buffalo Sabres humiliated the Washington Capitals at Verizon Center last night, handing the home team a resounding 5-1 defeat in front of a large contingent of boisterous Buffalo fans. Coming into the game tied in the standings with Buffalo for the eighth and final playoff spot, the Caps were out played at both ends of the ice and failed to mount a serious challenge. Alex Ovechkin spotted the Caps to a 3 goal lead. It was a tale of two games: it the best of times, it was the worst of times, it was the age of swiftness, it was the age of slacking off, it was the epoch of crisp passes on the tape, it was the epoch of sloppy clearing attempts, it was the season of Light, it was the season of Darkness, it was the spring of hope, it was the winter of despair, we had everything before us, we had nothing before us, – in short, the third period was so far unlike the first period, that some of its noisiest fans insisted on the game being received in the superlative degree of comparison only. And they booed lustily. With all apologies to Charles Dickens, thus was the Caps game last night. After jumping out to a 3-0 lead in the first 25 minutes of hockey, the Caps utterly and completely fell apart, lost the lead – and eventually the game in overtime – to the Winnipeg Jets, 4-3. 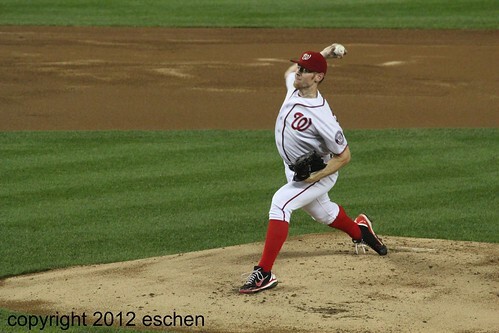 It was a demoralizing loss to a team immediately behind Washington in the standings. Two spectacular, highlight-worthy goals by Alex Ovechkin were for naught. For the second time in five games, Alex Ovechkin scored in overtime to cap a comeback victory as the Capitals defeated the Tampa Bay Lightning 3-2 last night at Verizon Center. The win kept the Capitals’ fragile playoff hopes alive. Alex Ovechkin played a terrible game last night. His passes weren’t connecting, he was often out of position, and he turned over the puck repeatedly. He shot wide to the left. He shot wide to the right. 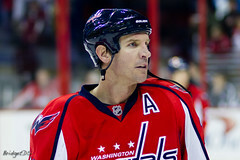 But when the game – and perhaps the season – was on the line in overtime, Ovie scored a spectacular goal to win the game and vault Washington back into a playoff spot. 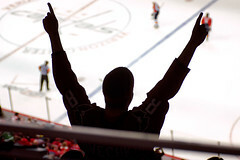 Like many sports, hockey is a game of momentum and lucky bounces. As Caps’ coach Dale Hunter likes to say, “That’s hockey.” The Winnipeg Jets got a few lucky breaks last night to beat the Caps 3-2 before a sellout crowd at Verizon Center. Ii was a wild ending. Four power play goals in the span of eight minutes late in the third period left the two teams tied at the end of regulation. After an inconclusive overtime, the Jets won the game in the shootout. 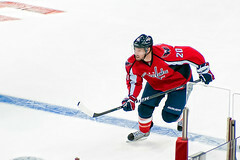 The Caps scored early and often and rode a hot goaltender to a 4-0 win over the Florida Panthers last night at Verizon Center. With the win, the Caps vaulted past the Panthers into first place in the Southeast Division and a spot in the playoffs. 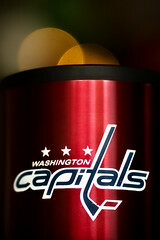 Alex Ovechkin scored twice and Tomas Vokoun stopped 42 shots for his fourth shutout of the season. A breakaway goal and solid goaltending was enough to beat the conference rival Pittsburgh Penguins, 1-0, last night at Verizon Center. 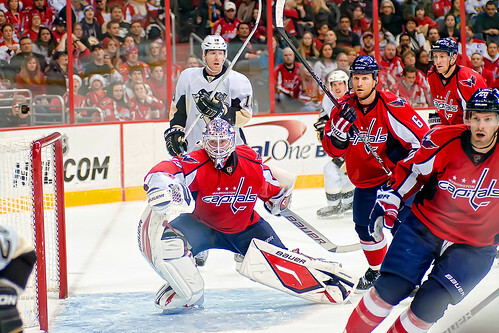 Jason Chimera scored on a first period breakaway for the winning goal and Tomas Vokoun made 30 saves to earn the shutout. The game had consequences in the race for the playoffs for both teams as the Caps passed the Penguins in the standings to move into 8th place in the Eastern Conference. The Penguins dominated the early going in puck possession and offensive zone time. The Caps came out looking flat, chasing pucks, passing into each others’ skates and shooting from long range. Only Brooks Laich and Troy Brouwer were able to take the puck and body to the net. A couple of rocking checks by Alex Ovechkin and Brouwer seemed to wake Washington out of their west coast fog and generate some energy. Mike Knuble has played 1,000 NHL games. The Caps carried their resurgent power play and a two-game winning streak into last night’s game against Conference-leading Philadelphia Flyers. 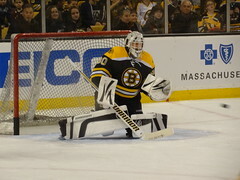 But they came undone through a combination of Philadelphia muscle and poor goaltending. 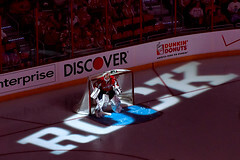 A series of soft shots and deflections got past starting goalie Tomas Vokoun as the Caps fell to the Flyers 5-1. In the first period, the Caps came out looking like a different team than a month ago. With a disciplined approach they took the action to the Flyers, maintaining the puck in the offensive zone for most of the period with strong physical play. The aggressiveness paid off when the Caps drew two power play chances. 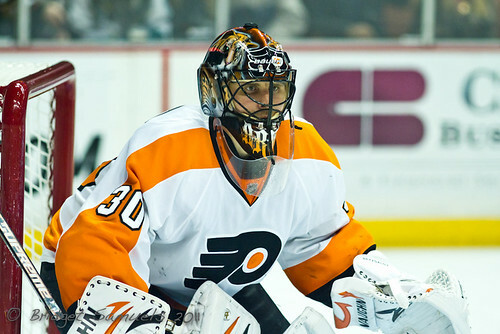 But the Caps failed to shoot the puck on the man advantage and were unable to score on Flyers’ netminder Ilya Bryzgalov. The Caps lost the momentum, and tide turned. The Washington Capitals dropped another game in their latest skid, losing to Southeast Division rival (and current leader) Florida. The Panthers held off a late-game rally by the Caps for a 5-4 victory and now lead Washington in the division by seven points. 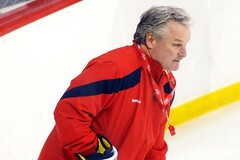 The loss is the team’s ninth out of their last 12, and third in four games under new coach Dale Hunter. The Caps played a solid 20 minutes. In the third period, but still – they almost pulled out a win. Jason Chimera’s scoring touch continues; he tipped in a John Carlson shot with 1:44 remaining in the game, sparking some spirited (but fruitless) Caps play. Mike Knuble, Cody Eakin, and Brooks Laich also scored. Captain Alex Ovechkin had four…hits. The Caps held Florida to six shots on goal in the final frame. Penalties. The Caps got a lot of them early, and Florida capitalized with 3 PPGs in the game. The Caps power play is now 2 for 50 in the last 13 games. They failed to convert the two chances they had last night. The team continued its inconsistent play, waking up only in the third period and putting in a solid effort to force a comeback. Too little, too late.